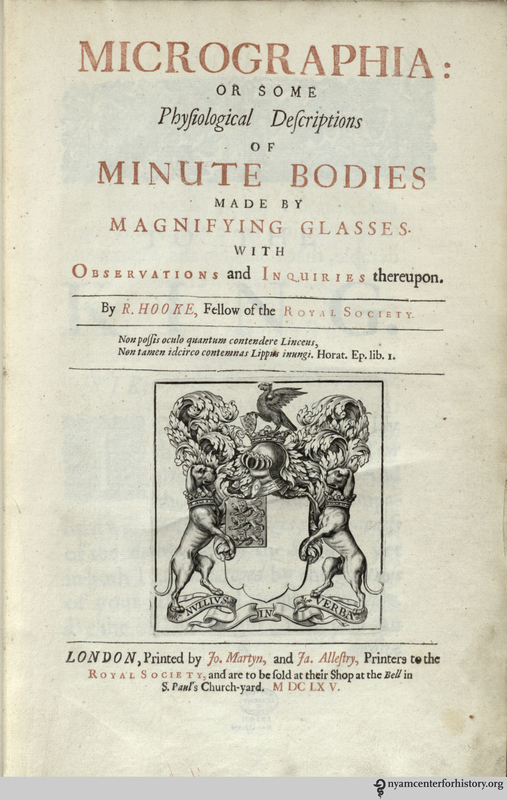 The title page of Hooke’s Micrographia. Robert Hooke was born on July 28 (O.S. July 18), 1635. 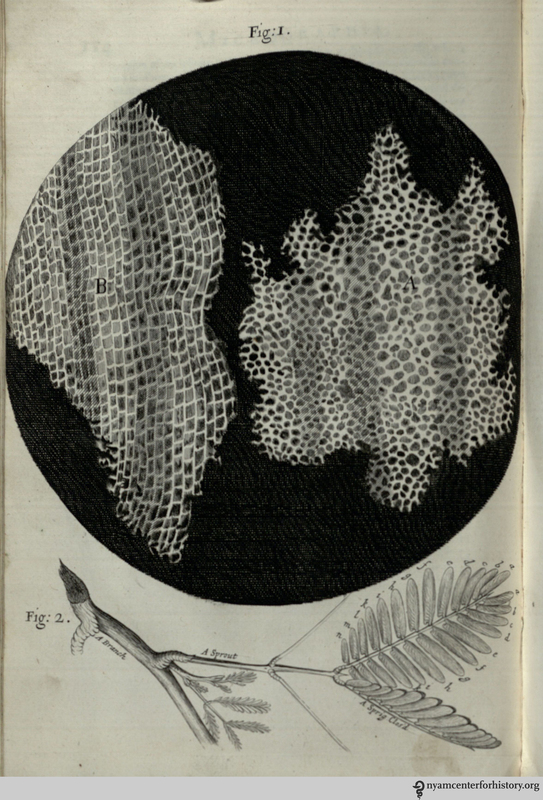 To commemorate his birthday, we are featuring his book Micrographia as July’s item of the month. 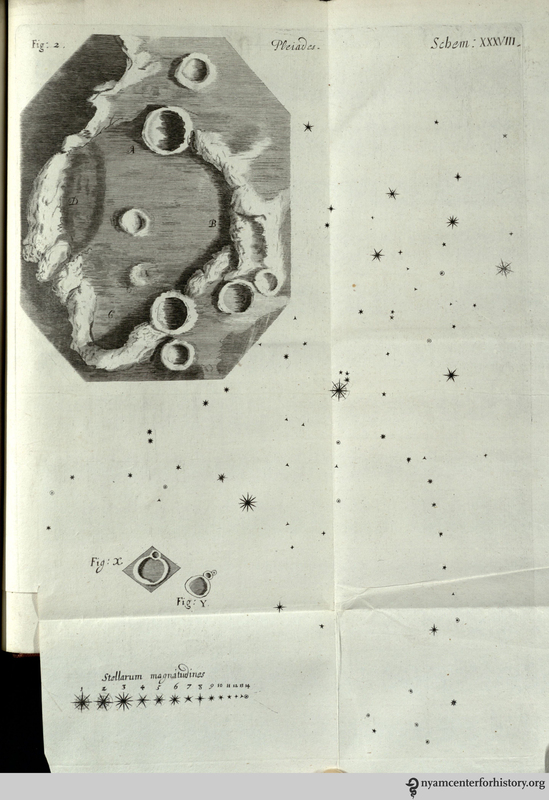 An extraordinary work, Micrographia details Hooke’s observations on objects as varied as the point of a needle, a louse, and the moon (he also utilized telescopes). 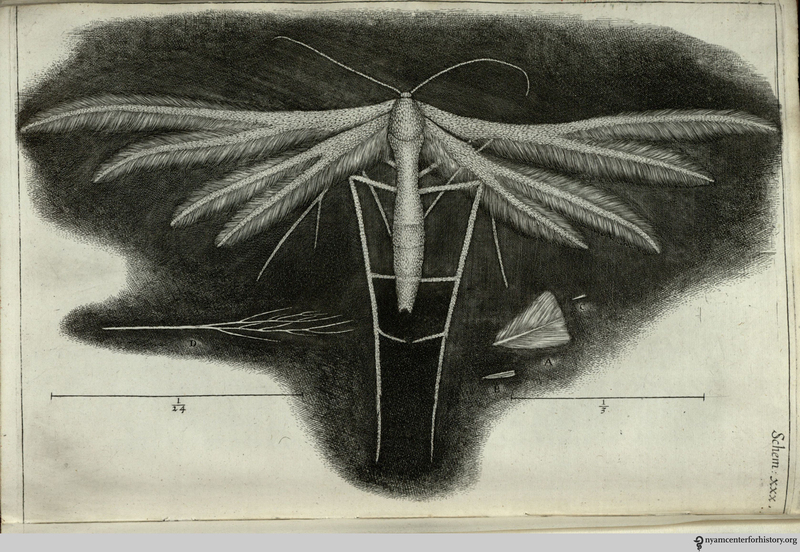 The book includes 38 copperplate engravings of microscopic views based on Hooke’s drawings. Micrographia was not the first book of microscopic observations, but it was more successful and accessible than its predecessors. Who wouldn’t marvel at a close up shot of a flea? 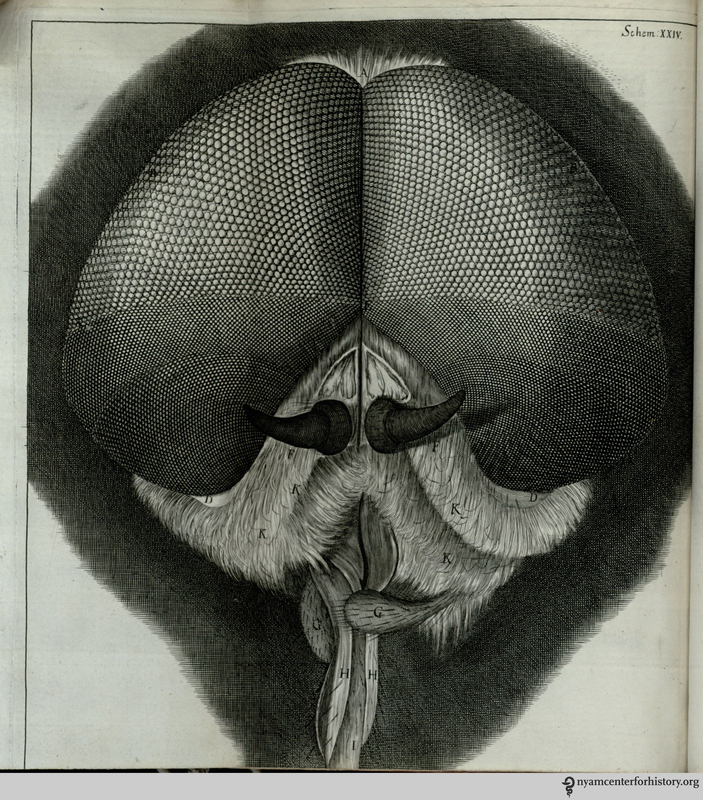 For observation XXXIV, Hooke examined the eyes and head of grey drone-fly. 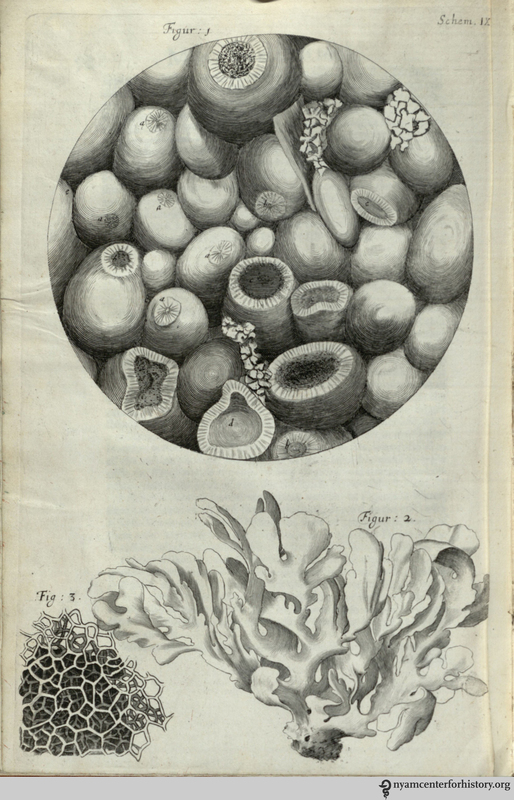 The National Library of Medicine’s Turning the Pages project has a selection of images from Micrographia available. It is well worth flipping through; you’ll find curator’s notes and you can even open the folded plates. If you are interested in looking at Micrographia in its entirety, contact us at history@nyam.org or 212-822-7313 to make an appointment. 1. Espinasee, Margaret. Robert Hooke. London: Heinemann, . 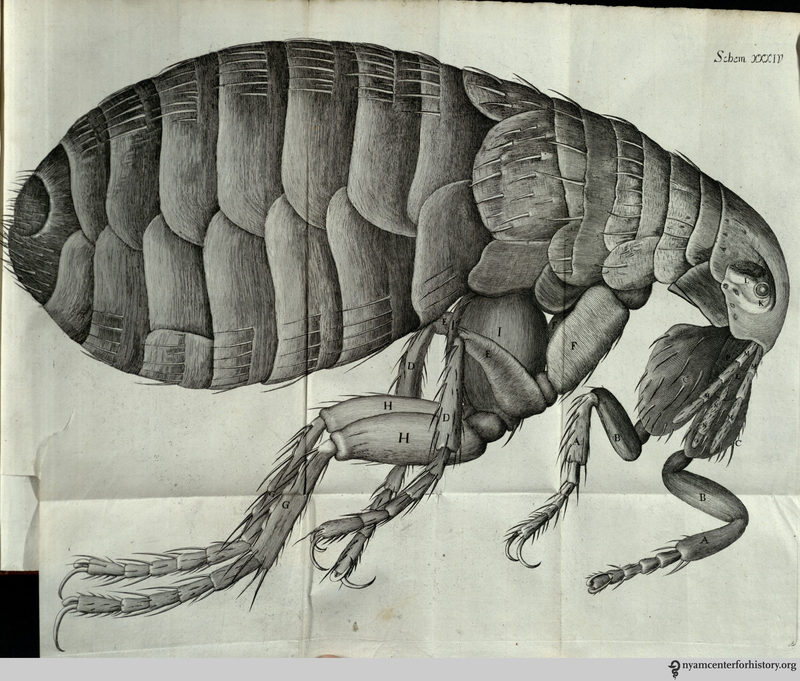 This entry was posted in Collections, History of medicine and tagged cells, history of science, insects, Item of the Month, Micrographia, microscopy, Robert Hooke, science by nyamhistorymed. Bookmark the permalink. Hooke is always touted in biology classes as the one who used the word cell for a small, enclosed microscopic space, which eventually became the word for the living entity inhabiting those boundaries. But I had never seen any of his drawings except the one of cork.